Ah, Christmas! A time of good cheer, eating, drinking and buying more “stuff”. Well here’s some stuff that you might have missed – we almost did! Pull up an eggnog and join us for another look behind the sofa to see what might be lurking in the musical backwaters in this, the first Christmas Special ADA (TPA’s occasional ‘A Different Aspect’ series) for 2017. This is where we sweep up some of the worthwhile releases that might have disappeared down the cracks of the main reviews section. Have a listen via the links provided and hopefully you’ll find some new sounds to investigate further during the Holiday Season and beyond. Cheers and Merry Christmas from everyone at TPA! Don’t be put off by either the band name or the album title, for what we have here is an utterly charming confection of brass-tinged pop dipped in melancholy and laced with a very slight mathrock tincture. 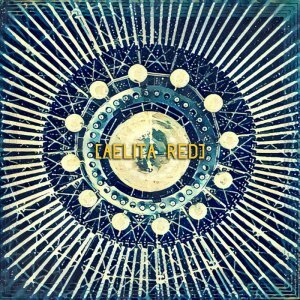 The latter is supplied by guitarist Rob Luft’s usually subtle and intricate interjections that occasionally soar into the stratosphere in a winningly genteel fashion. Again, do not be dissuaded by the “math” adornment, for this is a very human record and the lab coats have been left in the laboratory. The title track is as good a place as any to use as a reference point for the rest of the album. 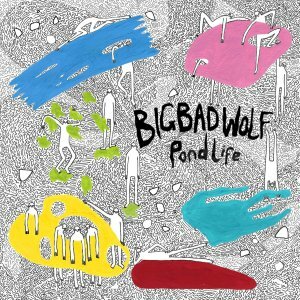 Pond Life the track is melodic yet complex, and is capable of soothing the furrowed brow for all its undoubted cleverness, which is quite a trick to pull off, methinks. Definitely an unusual yet not at all difficult album, and one I would have wittered on at great length about had it not slipped under my radar when it came out in July. Highly recommended. Around this time of the year I rummage around for some music that will offer suitable respite from the mayhem of the festive season. 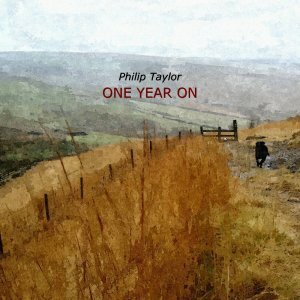 This year my searching proved to be slightly longer than normal, however the end result was well worth the effort as it brought me to this delightful release from acoustic fingerstyle guitarist Philip Taylor. One Year On is a wonderful album which I heartily recommended. Hardest job was selecting just one track to include in this review, as there’s not a bad composition on the album. It’s a very nice listen start to finish, laid back but compelling, put together with real care and attention to detail for which Dave (and his laptop) are to be applauded. It isn’t flash for the sake of it, instead the pieces work in a layered and consistent way. Dave, a guitar tech by trade who travels the world to tender to the merest (hopefully just musical) whim of his rock star employers, assembled the album during his down time, abiding by a number of set rules, including: No more than three guitar tracks at any one time; You can only use a Mellotron, no other keyboard sounds; Samples are OK (but only a couple, don’t get daft); Make the next bit more interesting (and more unexpected) than the last; No singing. The result is fresh, modern and entertaining. There’s a sophisticated tastefulness to it that bears repeated listens with ease, it doesn’t sag (despite the requirement to have “a bit in the middle for a breather or toilet break”) and isn’t an over-the-top album of guitar histrionics for the sake of it. Nicely done Dave. A ‘Trall’ singer tells stories about people and creatures while travelling from one village to another, a style which has been passed down for generations, and Trallkogen is a musical project led by vocalist Annika Jonsson, beginning as Swedish folk music it displays elements of jazz, pop and rock, but anything is possible. The focus here appears to be on the jazzier elements of their sound with some folk influences thrown in, and Annika’s voice is pleasant and engaging throughout. Singing in her native language she is ably supported by the other band members on guitar, bass, piano, and drums. 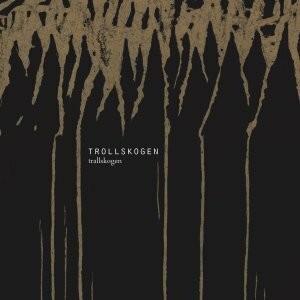 This nine track album starts with the eerie Intro, which is a little sinister, like a stroll through a dark Swedish wood, leading you into the title track. The remaining pieces show some diversity in their musicianship before the finale with the beautiful Farval and the subsequent hidden track which appears after a short pause. Overall it’s an interesting album which uses a number of musical styles, the prominent being jazz. A good debut but not captivating enough for me to keep hitting replay. 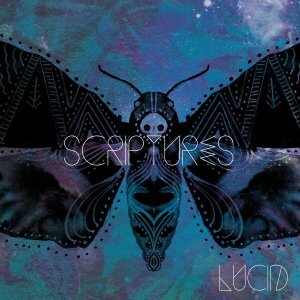 Notts based Scriptures return with their second album, Lucid, which “covers the themes of death, rebirth, struggle, and the monotony of day to day living”. 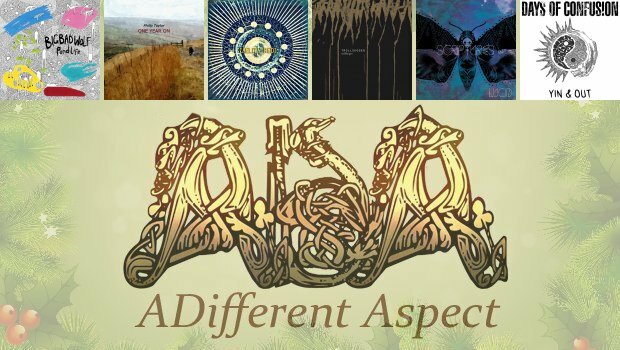 So not a cheery affair you might think, however despite the core subjects Scriptures employ an array of electronica, subtle and grungy guitar textures and a solid rhythm section to create a sound that absorbs and engrosses. Weaving its magic throughout Lucid is Siobhan Sand’s haunting and ethereal vocals, sitting a little too low in the mix for me, but that’s a minor gripe. A couple of listens and you quickly appreciate what a varied album Lucid is, from the upbeat April Showers, to the contrasting delicacy and a personal favourite, Sara Tonin, to the title track, which combines both admirably. Released in April this year Lucid is a well-crafted album, showing a maturing sound from their 2014 debut, Our Problems Revisited, and with the greater involvement of Siobhan Sand, promises much in the future. 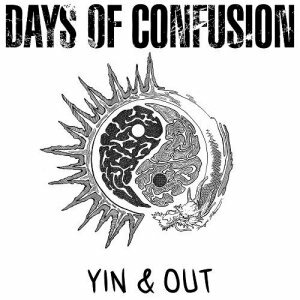 Days of Confusion are a Romanian Djent/Progressive Metal band and this is their latest album. Yin & Out comes complete with a board game, comprising a very artistic board and the smallest dice I’ve ever seen, in which you play as a member of the band. This aside, the music is fairly generic heavy djent/prog metal with lots of muscular guitar and some metal vocals. The songs are OK but nothing that stands out significantly, although I am no connoisseur of such genres. I found this noisy but energetic, and certainly not to my taste, but if you like Prog Metal then I’m sure that this is a perfectly acceptable example of such. There are a few softer passages that make it more enjoyable and rounded, such as the middle section of Killing You is Killing Me. before the noise returns. Sadly, not for me at all.